Ranking of players with Competize data and automation is a breeze. Add results to your games and leave the rest to us. Start managing your tournament or league in a faster and more intuitive way today! Save time and engage your participants at once. 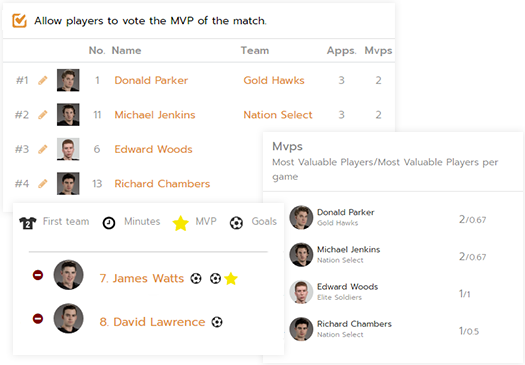 Allow players and fans to vote for the best player of each match in an easy and fast way from their phones via our web or app. Alternatively, add the best players of each match manually and follow their ranking from anywhere, anytime. 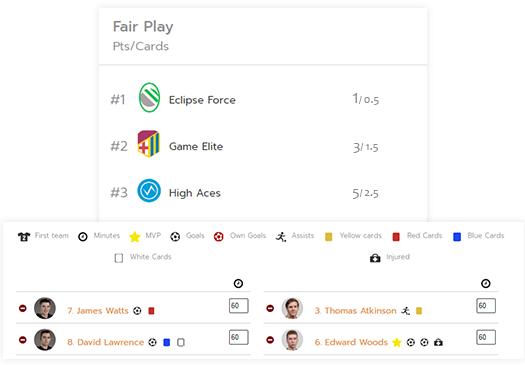 Add lineups to your matches and assign scores to players to follow real-time ranking of the most forceful players. 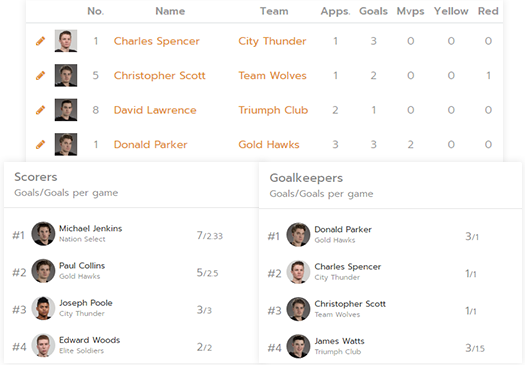 Competize automatically sums up the number of goals scored/conceded for each player and calculates the average of goals per match. Promote sportsmanship by keeping track of yellow and red cards per player. Encourage positive values and attitudes by awarding the best ranked players, who maintain self-control and respect for their opponents.